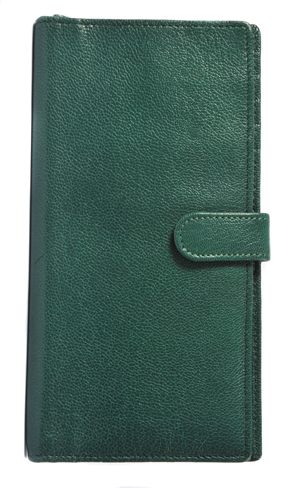 A travel essential - this travel wallet comes in a soft deep emerald green kid leather. 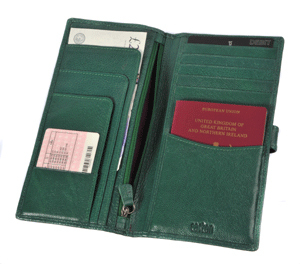 Interior details include a zipped compartment and lots of sections for all your travel documents. There is a special passport pocket and your boarding pass fits neatly into the longest pocket on the left side. A tab closure with popper will ensure all your documents are kept safely together. Just the right size for a handbag or jacket pocket. Dimensions: 22cm x 11.5cm when folded.